Auction for Scooby Medina begins tomorrow. 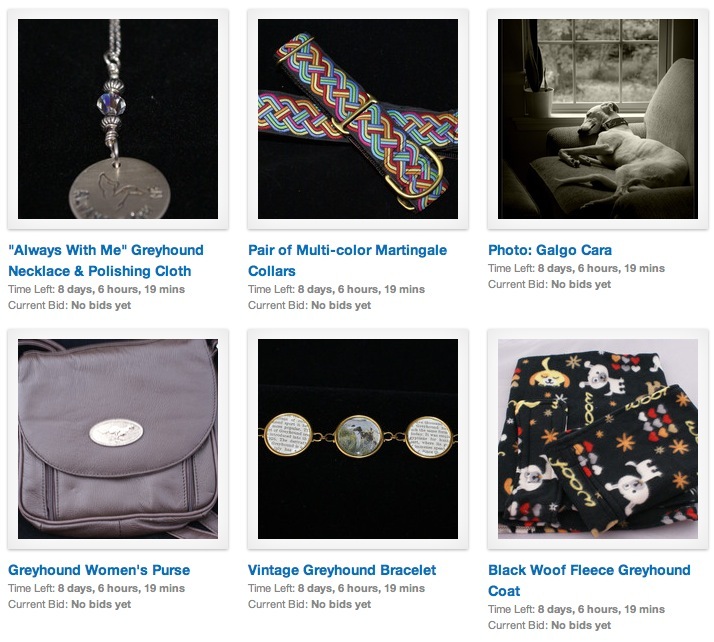 Don't miss this fabulous auction to benefit the Spanish Galgos of Scooby! Over 150 incredible, unique, custom and otherwise awesome items will be featured in this auction hosted by Auctions ala Carte starting Monday, October 3 – please visit Auction to view and bid on these fantastic goodies. 100% of the proceeds will be used to support Scooby Medina who is facing perhaps its greatest challenge ever. The situation at Scooby is absolutely desperate. The shelter is completely full with 500 dogs, and our adoptions have decreased significantly due to the global economic crisis. We urgently need your help to continue to take care of the animals until we can find them homes as well as all those galgos that will be appearing at our door once the used hunting season begins. We are hoping to raise enough money from the auction so that building can begin on a puppy house. With so many items, there's something for everyone! A very special thank you to ALL of our donors and supporters for making this possible! Your generosity was overwhelming and very, very appreciated. This auction begins 12 AM PST on Monday, October 3rd and ends at 11:00 PM PST on Monday, October 10th. to view and bid on these lovely items!